Best served warm. You can arrange lettuce on a big plate, but also on the plates, for each person served! Livers are cooked, drain the water and let cool. Meanwhile, prepare sauce: liver pate and mustard rub with oil. Add finely chopped parsley and half a green pepper (capiscum), diced small. If necessary, we may add oil, then add salt and pepper. On a platter, arrange the lettuce leaves livers, pour the sauce. 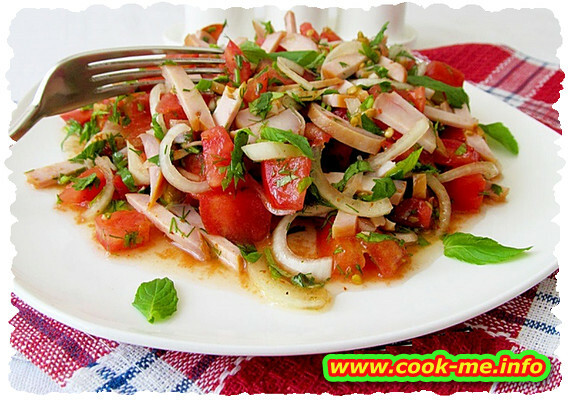 Garnish with sliced ​​tomatoes and onions, also with remaining green pepper (capiscum).